Fashion design and modern dance are powerful mediums that transcend artistic expression into the realm of contemporary lifestyles and entertainment. But the two don’t always play nicely together as there is an inherent struggle between designing costumes that are visually captivating and functionally efficient. On the local level, O’More College of Design and New Dialect, a contemporary dance collective and training program, are partnering to create a happier medium between the two art forms. 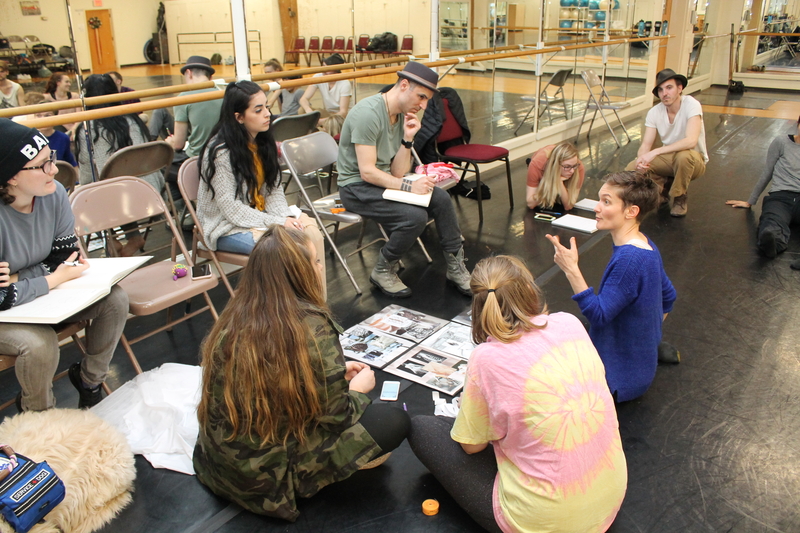 With underwriting from the Nashville Fashion Alliance (NFA), O’More fashion students and New Dialect dancers are collaborating on a project that will open the annual O’More Fashion Show on Thursday, May 10 at The Franklin Theatre. In a coincidental quirk, the performance itself is an expression of collaborative problem solving. It’s part of Limitation Etudes, a New Dialect series that considers how physical constraints can be overcome. “In this performance the dancers will be working together to solve a problem,” says Banning Bouldin, New Dialect’s founder and artistic director. “The visual picture of how the dancers are connected will be elaborate, elegant and surrealistic. And it requires elements of fashion design to present that message effectively. The project also allows for students to become immersed in the intrinsic value of the performance. The partnership between O’More and New Dialect is of particular interest to Tony Perrin, who has ties to both organizations.